﻿ Neymar: "Cristiano Ronaldo is an idol and an inspiration to me"
10.08.2012 » Neymar: "Cristiano Ronaldo is an idol and an inspiration to me"
Neymar has spoken a few words about the Olympics games and the opportunity of winning the football's gold medal for Brazil, for the first time in the country's history. However, there was still time for the Brazilian prodigy to share a couple thoughts on Cristiano Ronaldo and confess his admiration for the Real Madrid star. There seems to be a wide consensus about Cristiano Ronaldo and Lionel Messi being the undisputed best players in the World for a few years now. 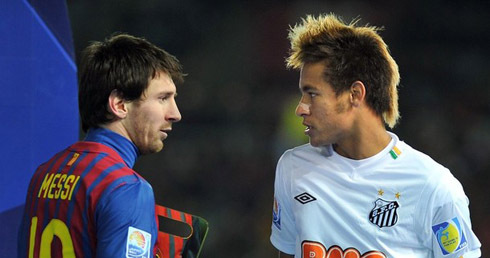 The Brazilian rising star, Neymar Jr, doesn't have any problem in recognizing that he's still far from both CR7 and Messi level, even though he also hopes to reach the top in a near future. 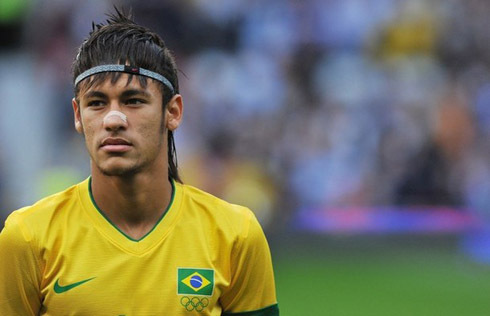 Currently representing the Brazilian National Team in the London Olympics 2012, Neymar has high expectations for this Saturday's final against Mexico, as this could be the first time Brazil brings the gold medal in Olympics football. In a short talk with some journalists that were present at a press conference in London, to preview this Saturday final between Brazil and Mexico, Neymar started by leaving a few remarks on Cristiano Ronaldo. Neymar: "Cristiano Ronaldo is an idol to me and I follow him closely since I started playing football. He's a genius, one of the best players in the World and he's on the same level as Lionel Messi. For all of us who love football, Cristiano Ronaldo is a true inspiration! ", started by noting the 20-years old talent, just before answering a few questions about the upcoming Olympics football final. 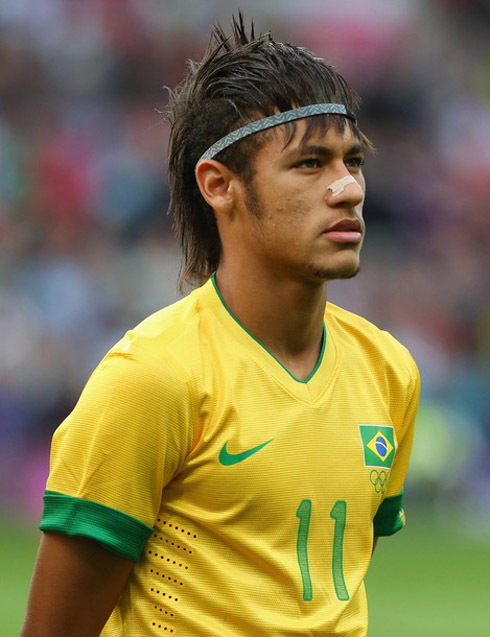 Neymar: "Winning a gold medal is always an hard task, if not, Brazil would already have 20 medals. We're very close to achieve something that several great names of this sport never accomplished. We're here representing everyone of them and all the Brazilians out there, who are eager to see us bringing the gold medal home. We're 90 minutes away from making history and we're aware of that responsability. We all know what's at stake this Saturday and how important this game is", assured the still Santos FC forward. Neymar: "I've never played at Wembley before, which is definitely a place with a great history behind. Unfortunately, neither Pelé has done it and he is the best football player in history. Returning home with the silver medal wouldn't be a frustration, but rather a sadness. Now that we've reached the final, we can't settle for the silver medal, we have to be hungry for those golden medal that are at stake. In any final, there can be only one side winning the gold medal! 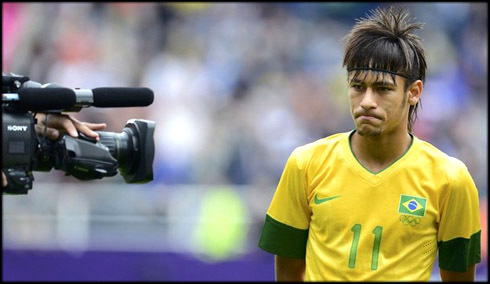 ", stated Neymar Jr, who is very likely to be starring on Brazil's line-up, this Saturday afternoon. Regarding Neymar's future and despite the immensity of rumors coming out over the last months, it seems like the Brazilian is going to remain playing in Santos FC for at least one or two more seasons. As a curiosity, in a voting poll we promoted here at Ronaldo7.net asking "Who should Real Madrid sign for the attack the Summer? 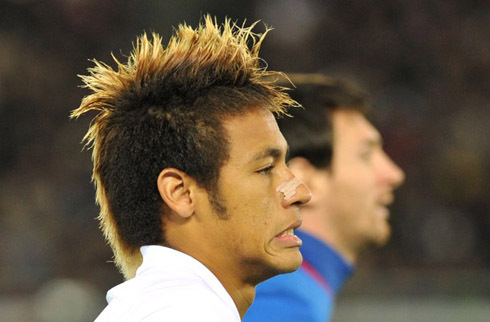 ", Neymar has actually been the first choice for most of our visitors. Question: "Who should Real Madrid sign for the attack the Summer?" Cristiano Ronaldo seems to be returning to his old form, but before starting the new season, Real Madrid still has one more test left, against the Celtic Glasgow, this Saturday night (11-08-2012). You can watch Juventus live stream, Real Madrid vs Celtic, Dynamo Bucharest vs Barcelona, Hannover 96 vs Manchester United and Brazil vs Mexico from our football live streams section.